Does fasting have any real value? 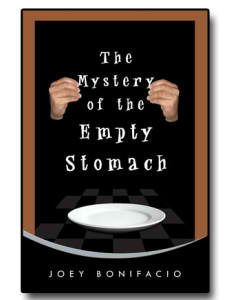 How can an empty stomach be of any advantage to you? Fasting is an ancient practice that has enormous benefits but is often misunderstood. Shrouded in mystery, it has even been mistaken for dieting. In reality, fasting is so much more than depriving oneself of a few meals. As we start our Mid-year Prayer and Fasting, we recommend you prepare by picking up and reading a copy of The Mystery of the Empty Stomach by Joey Bonifacio, available at Life by the Book bookstores (including the branch at the Every Nation Building) and selected National Bookstore and House of Praise outlets. "What was one of the Hardest Things you had to Believe About God?" Wow! We now have a great reference about this thing called “fasting”. I’ve often wondered what the origins are (except for biblical passages) and I have no idea about the different sets of backgrounds and origins of this act. Thank you Pastor Joey Bonifacio for enlightening us with this subject. Thank you Lord for giving us a spiritual family we could grow with.